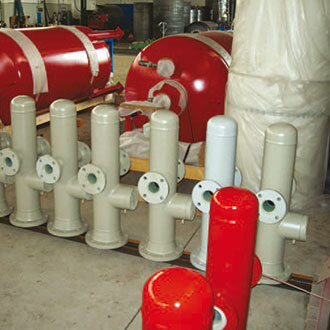 All equipment produced by C.S.I. 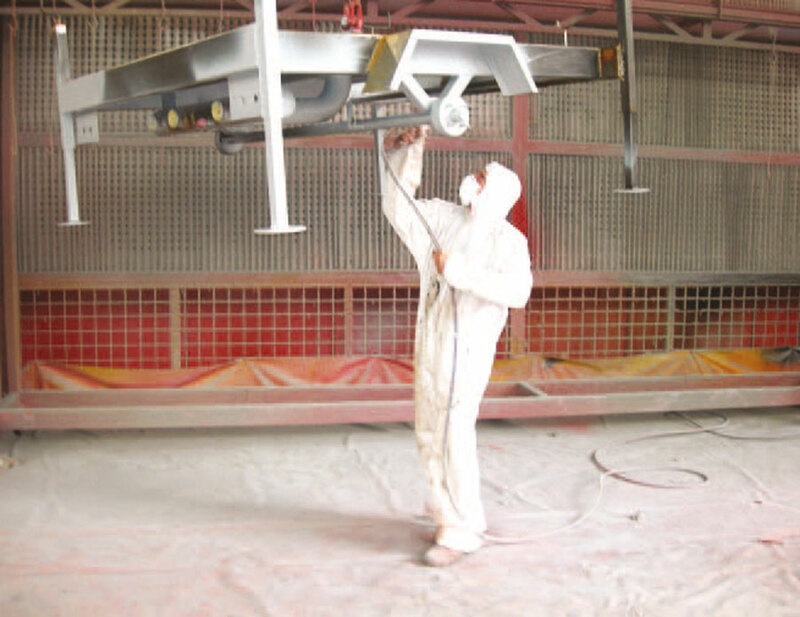 S.r.l., is subject to surface treatment procedures such as hand tool cleaning, degreasing by diluent, or sand blast cleaning prior to coating. 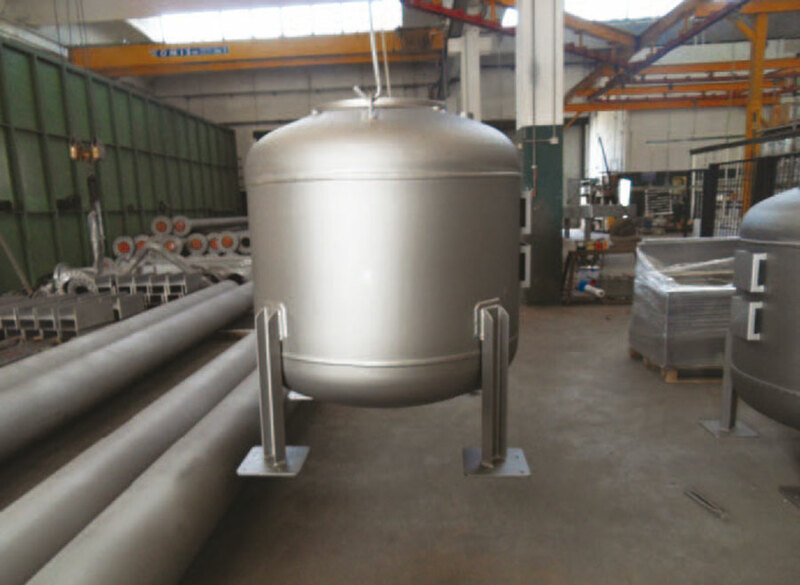 Coating procedures are well deﬁned according to occupied raw material i. e. one cycle for stainless steel and another diﬀerent cycle for carbon steel surfaces. 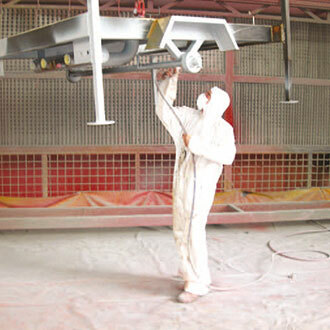 According to buyer speciﬁcations, diﬀerent painting cycles such as epoxy semi-gloss paint, intumescent paint, or epoxy bitumen coating systems are applied to our products in our internal painting cabinet. 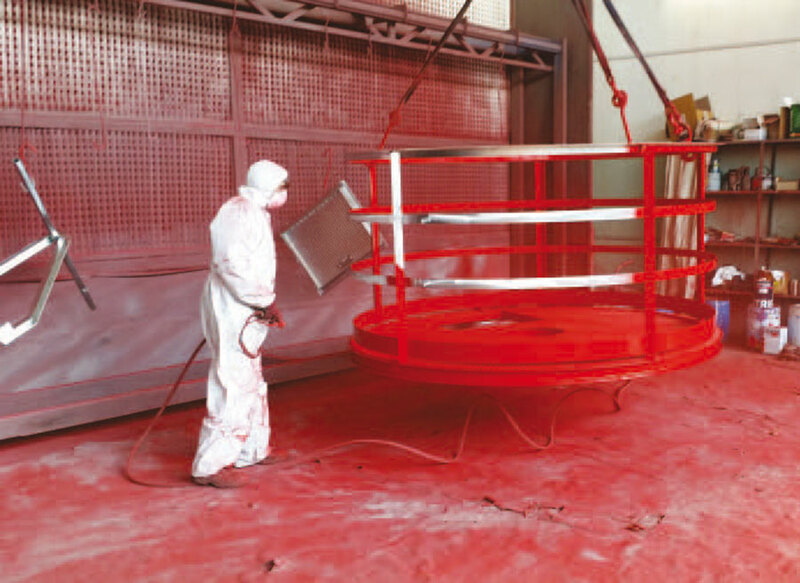 With a dry ﬁlm thickness measurement instrument, each layer of coating is measured and registered before applying the next layer. 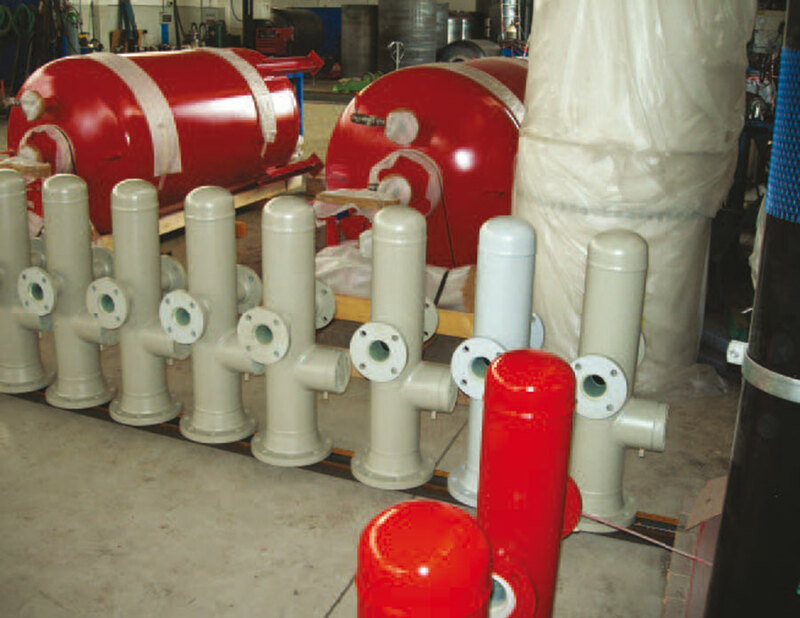 The ﬁnal dry ﬁlm thickness achieved is registered to the fabrication dossier of each single product to guarantee traceability. 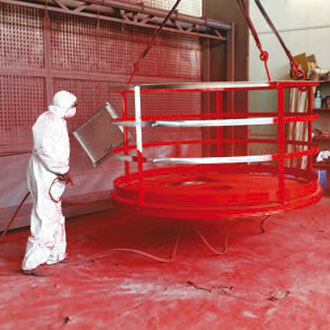 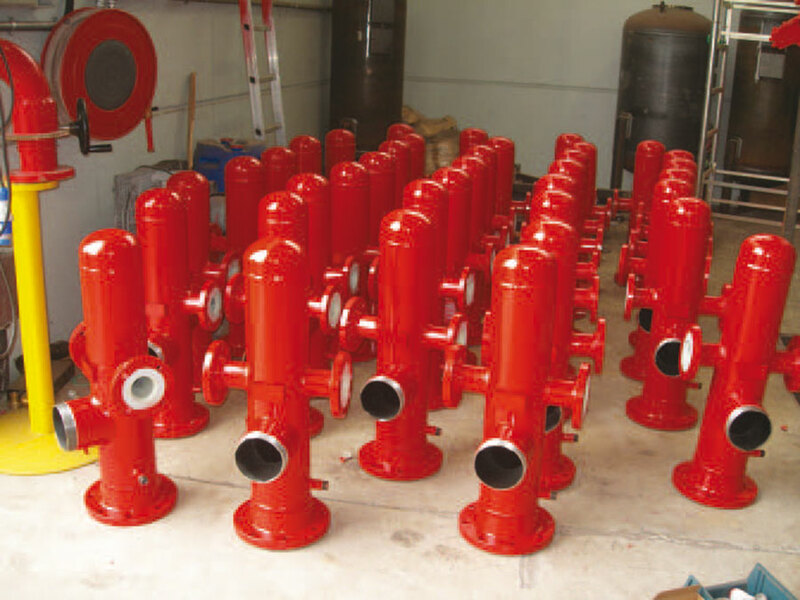 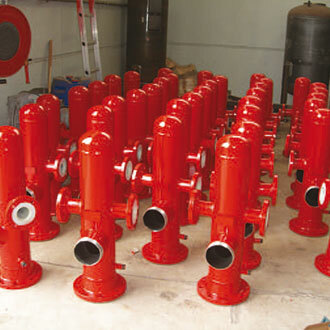 For special coating procedures such as powder coating with oven drying process, C.S.I. 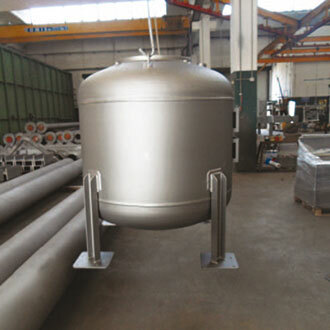 uses outsources as well as hot dip galvanization, passivation or picking operations.